Hello Everyone! It’s me, Mey here! This is my daughter Glee. We chose “Glee” because it sounds Asian but it is a real English word which has a lot of meaning to us because she brings so much happiness into our family. Since she is CBA (Canadian Born Asian) we thought “Glee” would be just right. Both my husband and I are entrepreneurs, so life before Glee was much easier because we had full control of our own time and schedules. Our only “children” were our little companies. We didn’t plan our meals; we just went out, ordered in or grabbed whatever was at hand. Work was always our primary focus. When I found out that I was pregnant, I knew that it would be a life changing event. Boy! Was it ever life changing! She became our highest priority in every aspect. Being a mother has taught me many things, but particularly patience and acceptance. 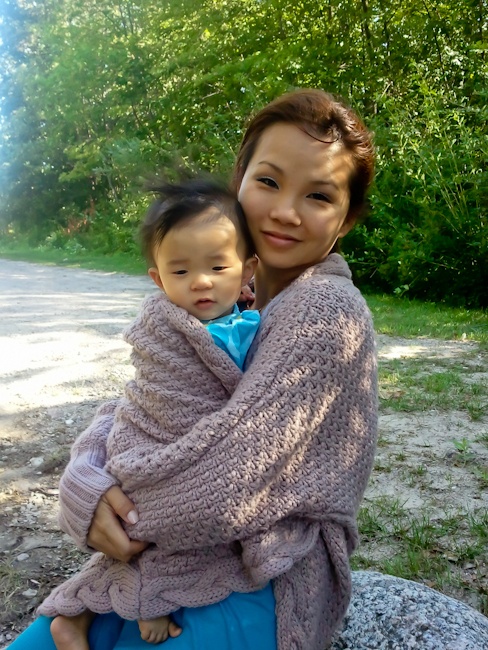 I was lucky that we were in-between projects, so I could take time off to be a mother. Having tried homemaking full time for over a year, I became more appreciative and deeply respectful of all you stay-at-home mothers and fathers out there because your patience and love are tremendous! My heart goes out to you for all the things you have done and are still doing for your family! This website is dedicated to you and helping you share delicious, loving family dinners with everyone you love; simply, easily and happily!